Niha Masih A woman, with her children, at a refugee settlement at Loi village in the district of Muzaffarnagar in Uttar Pradesh, on Monday. 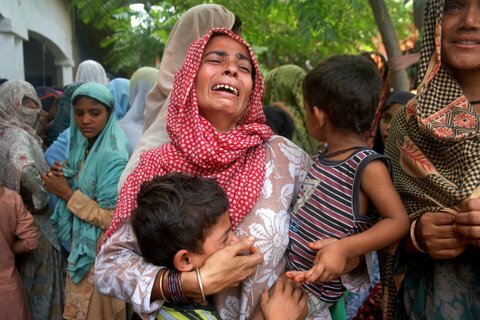 Sectarian violence between Hindus and Muslims has killed more than 38 and displaced over 10,000 people in the past week (9/13/2013) in Muzaffarnagar district of the northern state of Uttar Pradesh. The state government led by Chief Minister Akhilesh Yadav of Samajwadi Party failed to respond swiftly to the violence and restore order. Indian army had to be deployed to control the violence and impose a curfew.